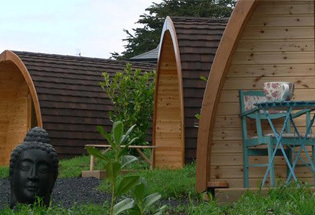 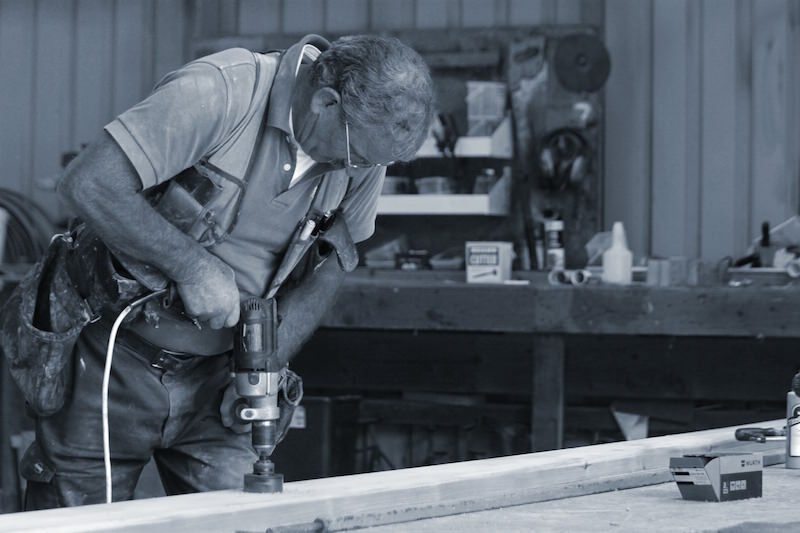 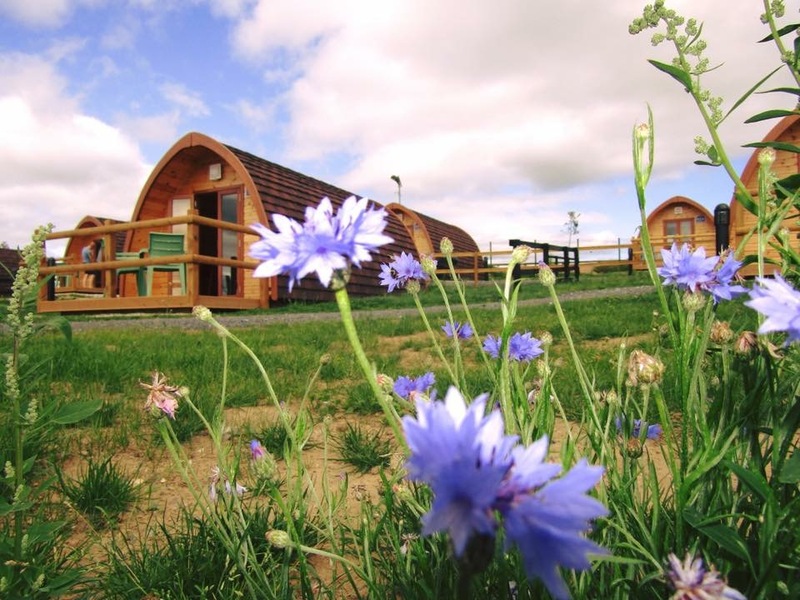 Glamping PODS – Cisco Wood Ltd.
the quality and craftsmanship is evident for all to see. 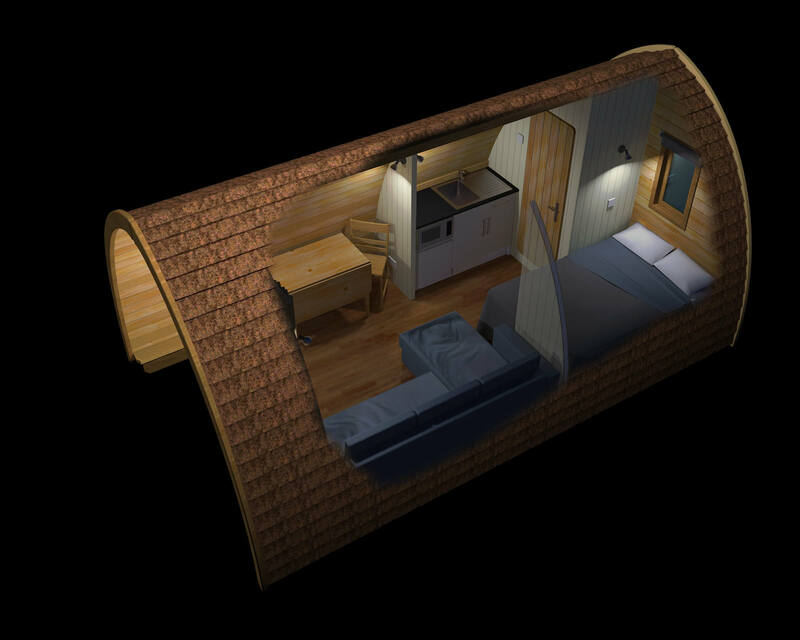 Take a look inside the Pods - The interior can be customised to meet your needs. 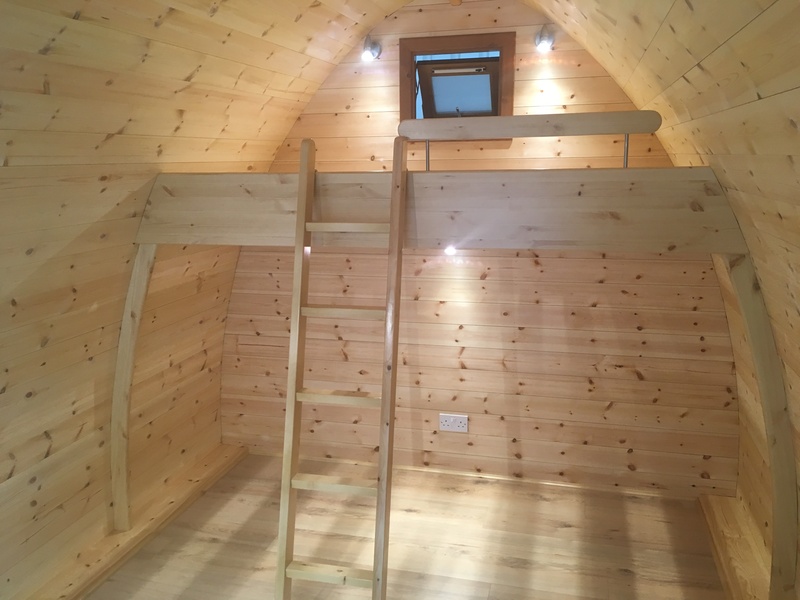 We recently built a Family Pod with a loft bed where a double bed fits comfortably underneath. 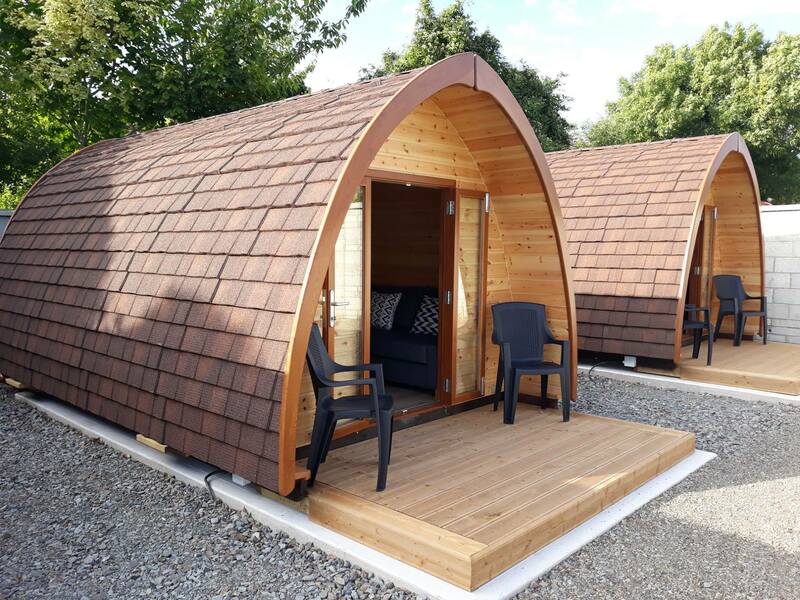 The POD is fully insulated throughout, double doors with black out blinds, rear window, floor air vents, wall lights, double sockets, electric oil heater and decking. 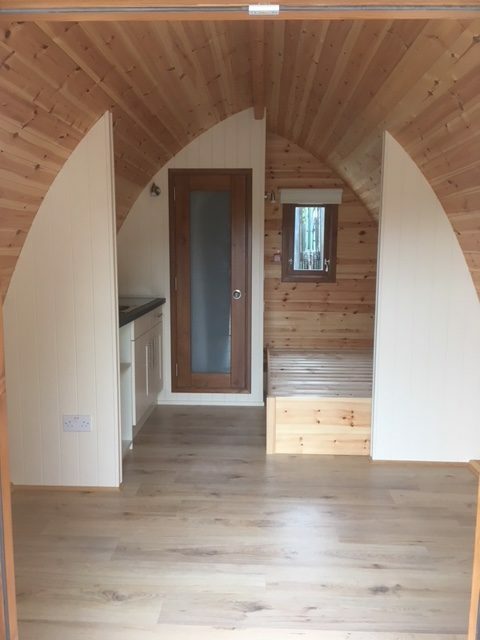 The versatility of the POD allows you to customise the internal fit out to suit your development. 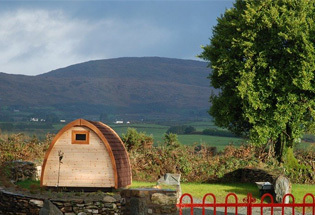 Great return on investment. 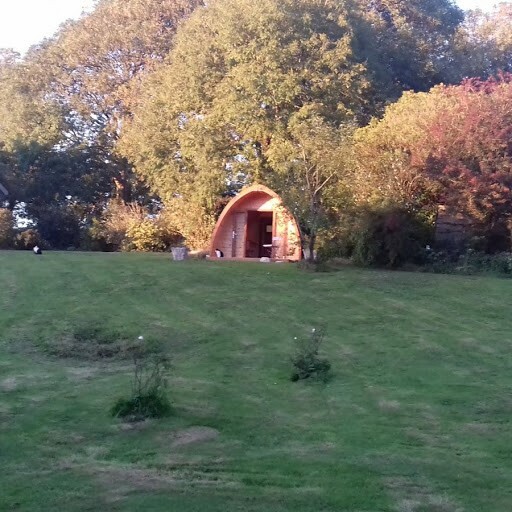 This is our largest POD and depending on the clients wishes it typically has a double bed, a toilet and hand wash basin, mini kitchen, dining table and a pull-out sofa for extra family members. 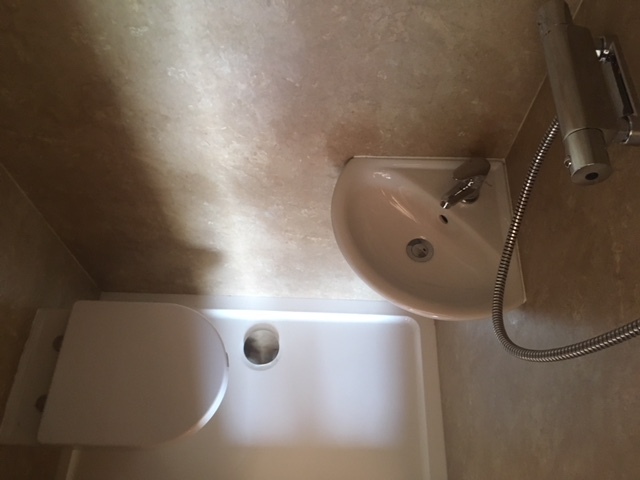 The toilet room can be kitted out as a wet room to facilitate a shower also. 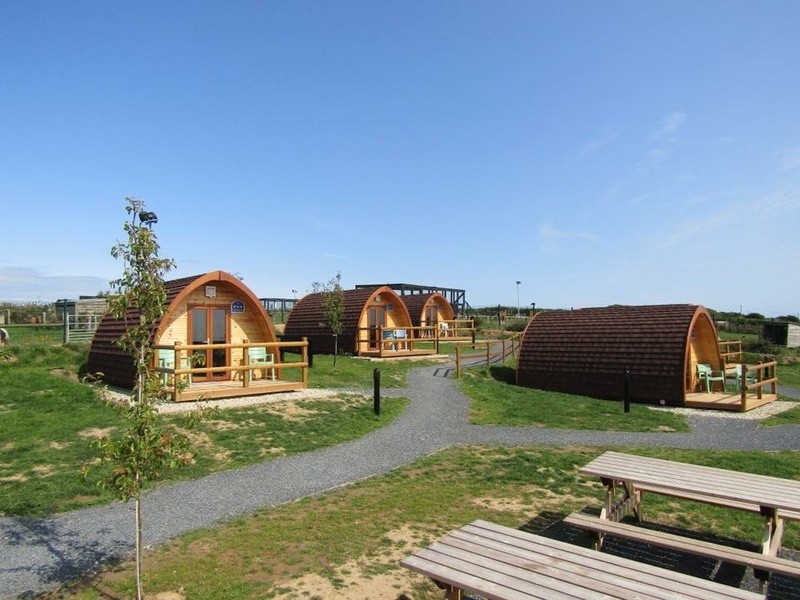 The Mega Pod can also be supplied as an empty shell unit.